तीर्थधाम मंगलायतन (Teerthdham Mangalayatan) dedicated to Second Tirthankara Bhagwan Bahubali(one with strong arms) of Jainism. Mang+al+Ayatan - `mang` means `happiness`, and the one who brings happiness in our lives (Al-Layati) is called `mangal`. Ayatan is Sanskrit for volume or place. Therefore, A place that will be instrumental in bringing happiness to our lives and ridding us from our sins is called Mangalayatan. Teerthdham has been included in 100 famous tourist centers declared by Uttar Pradesh government. `Teerthdham Mangalayatan` is a Jain pilgrimage complex, promoted and developed by Shri Adinath Kund-Kund Kahan Digamber Jain Trust, at Aligarh, India. Rather than being just a group of temples. Sh. Pawan Jain, Chairman of Aligarh`s well-known Pavna group of industries and an active member of many social and religious organisations, actually wanted to construct a building of an engineering college at the location. But he changed his mind and decided to donate the land for the cause of Jainism. He came up with an idea of building a Bahubali temple complex at the place. Larget Holy Canpus of Aligarh-Hathras Region 16 Acres. Having Hospital, Patrika, Library And Dharmshala. Declared in The List of 100 Famous Tourist Center of Uttar Pradesh. Mangalayatan features Bhagwan Adinath as the main deity, the Moolnayak. His temple has been constructed on an artificial hill running across the complex. The hill starts from the height of 4' and rises to 31'. On its peak, a white marble platform measuring 16' x 16' x 2.5' supports a 10' high pink marble lotus throne. Seated on this is an impressive 111" high white marble statue of Bhagwan Adinath with halo (bhamandal) and three umbrellas (chhatras). Beautiful Teerthankar Mahavir as 'Vidhinayak' temple has been constructed over an area of 4500 square feet. Inside this temple, His 33" high marble statue is seated on the vedi built of white marble. It is surrounded by 30" high marble statues of Bhagwan Shantinath, and Bhagwan Parshvanath, sitting on white marble vedis. Bhagwan Mahavir Swami and Videhinath Bhagwan Seemandhar Swami's Ashtadhatu Jin-bimbs (statues) have also been established in the temple. This temple has also been adorned with portraits of Bhagwan Kundkundacharyadev and Amritchandracharyadev engraved on marble slabs measuring 4' x 4.5'. These pictures, framed in beautifully engraved white marble frames, have been placed on the walls of the temple. Except the sanctum sanctorum (garbha griha), the rest of the hall of 50' x 50' is being utilised for meditation, religious discourses. On the walls of Mahavir Swami Jinalaya, 150 marble slabs have been fixed, on which Shri Samaysar gathas written by Bhagwan Kundkundacharyadev have been engraved. Bhagwan Bahubali Temple, covering an area of around 4000 sq. feet, is also a special attraction of Mangalayatan complex. The temple houses a white marble statue of Bhagwan Bahubali in standing posture. The 7'3" high statue stands on a 24" high lotus platform. The temple also has statues of Muniraj Bahubali and Muniraj Bharat in standing postures. Design of Bahubali temple is the same as the Mahavir temple. The hall of the temple has been adorned with portraits of Dharsenacharyadev and Muniraj Padmaprabhamaldharidev. These portraits have been engraved on 4' x 4.5' sized marble panels. Marble slabs of 4' x 2' size, engraved with the text of the 7th Adhikar (chapter) of Acharyakalpa Pt. Todarmalji written Shri Mokshamarga-prakashak and Pt. Daulatramji written Shri Chheh-dhala, have also been fixed on the walls of the temple. 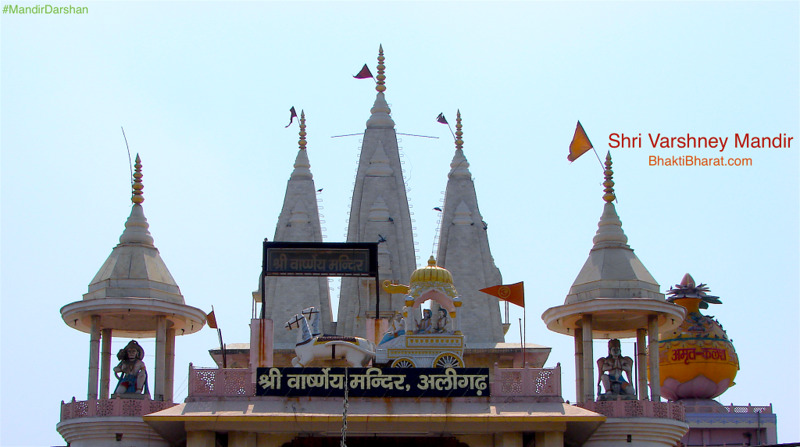 The Manstambh at 'Mangalayatan' is a replica of the Manstambh of Bhagwan Seemandharnath erected in Songarh, the sadhnabhumi of our revered gurudevshri kanji Swami and Bhagwatimat Champaben. The bottom of the proposed Manstambh has been adorned with Chitrapats (pictures) of the Tirthankars, Acharyas, Upadhyayas, Munirajs and Gurudevshri kanji Swami in different postures, in 3 steps in all 4 directions. These pictures are seated inside three cornices measuring 20' x 20' x 3.5', 16' x 16' x 3' and 12' x 12' x 2.5'. Above these cornices, there is a beautiful Jinalaya (temple) in which four pink statues of Lord Adinath, each with a height of 23 inches, have been seated on lotus platforms. On the top of the tower, four more pink statues of Bhagwan Adinath, each with a height of 27 inches, have been placed. These statues, all seated on lotus platforms, look in four different directions. The ever flying flag on the top of the 63 feet high Manstambh always extends invitation to all the living beings to rid themselves of the feeling of 'I' and experience the unparalleled and out-of-this-world joy in the court of Jinendra Bhagwan. A community residential colony named Kahan Nagar is also being built in the vicinity of Mangalayatan to benefit people who want to settle in this holy area. The project is being developed on a No-profit-no-loss basis. Jain Trust is also planning to launch a Jain Cooperative Bank for the benefit of the community. Bhagwan Mahavir Dharmarth Aushdhalaya: Stone Laying ceremony (Shilanyas) 20th Dec 2003.